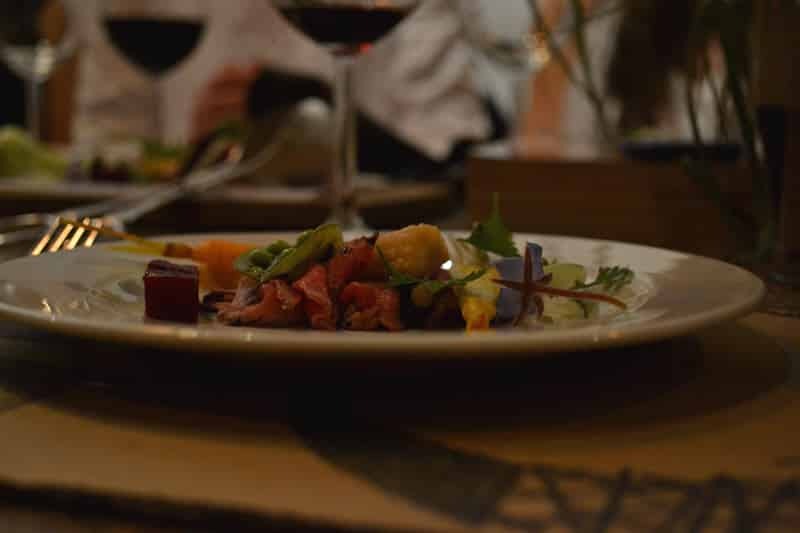 I’ve been looking forward to a Spier Secret dinner for months so when I was invited to join the Spier chefs for a dinner there was no need to think twice! 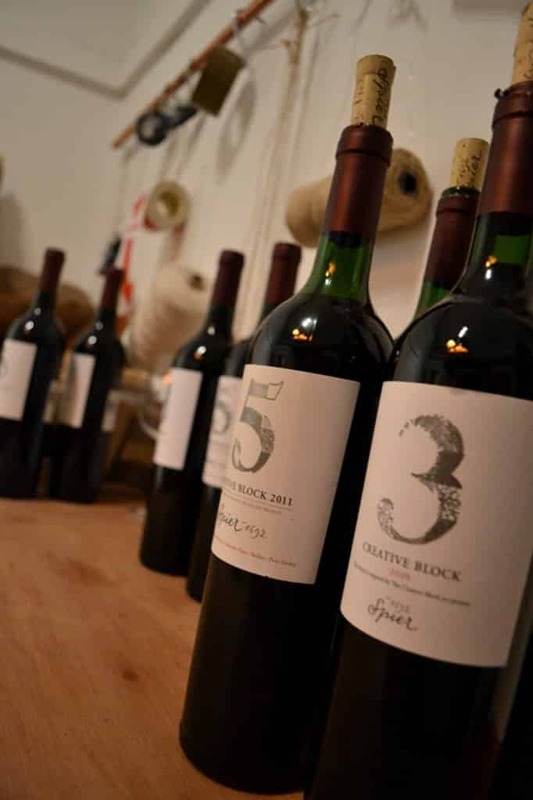 If you haven’t been to the pop up venue, best you get there soon – it’s open until the end of April and is the perfect opportunity for Capetonians to enjoy the Spier brand without leaving the city. Situated at 64A Wale Street the venue is quaint, unpretentious and offers possibly the best value for money wine experience in the city. Hurry though, they’re closing up shop at the end of April! We had an amazing evening with lots of great conversation and new friends. 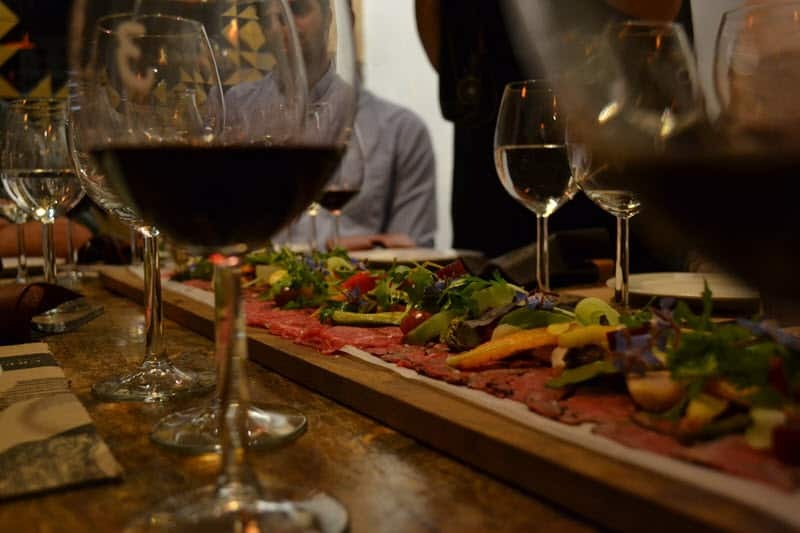 It’s an intimate experience that blends a sumptuous food and wine pairing with a relaxed environment in which to meet new people. Joop, the current manager of Spier, provided some of the background to the meal while each course was introduced by Charl Coetzee. The wines were superb, particularly the No 2 and 5 from the Creative Block range. The No 2 is a Bordeaux-style white blend of Sauvignon Blanc and Semillon, while the No 5 (also a Bordeaux-style wine) is a red blend of Cabernet Sauvignon, Merlot, Malbec, Cabernet Franc and Petit Verdot. 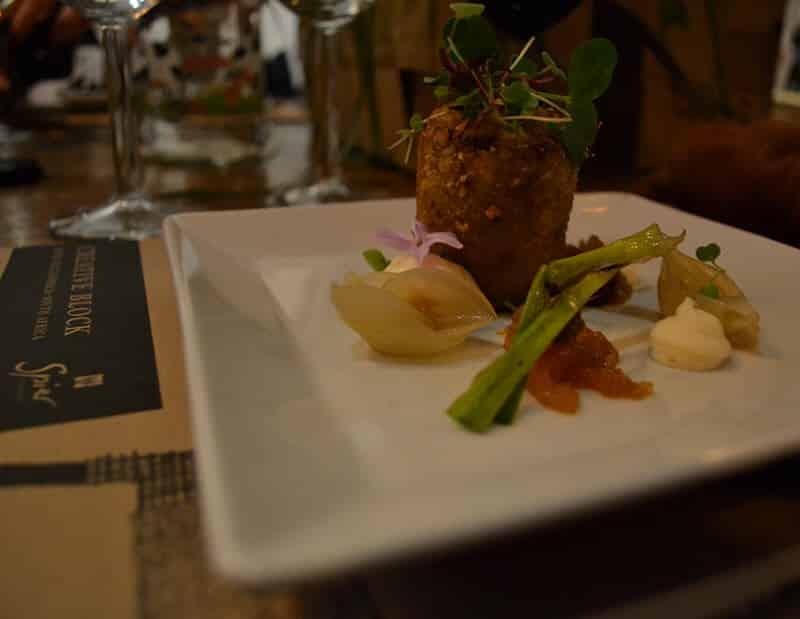 The menu was put together by chefs Lorianne Heyns and Charl Coetzee from Spier and was inspired by the local produce from Spier’s estate which formed the basis of the ingredients for the dinner. To whet the appetite we started off with a mini hamburger and moved on to delicious oxtail croquettes with smoked potato. 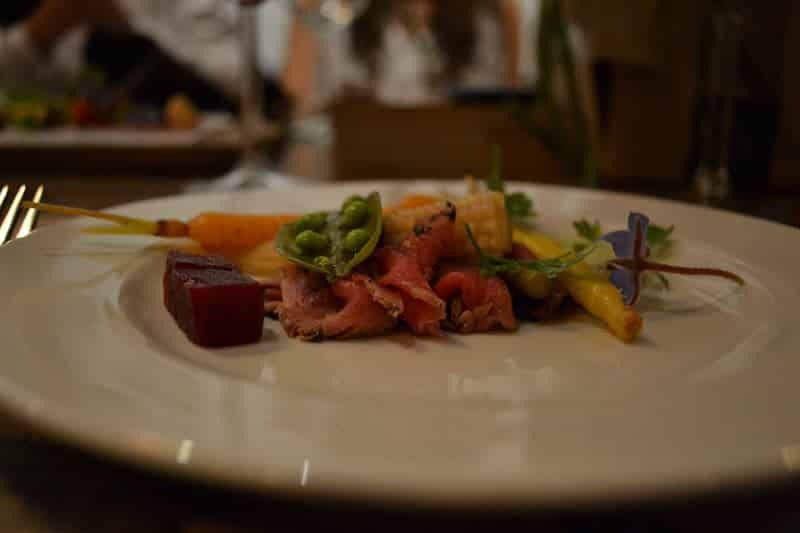 The next course was beautifully presented carpaccio served with baby vegetables and micro salad – all from the Spier vegetable garden. 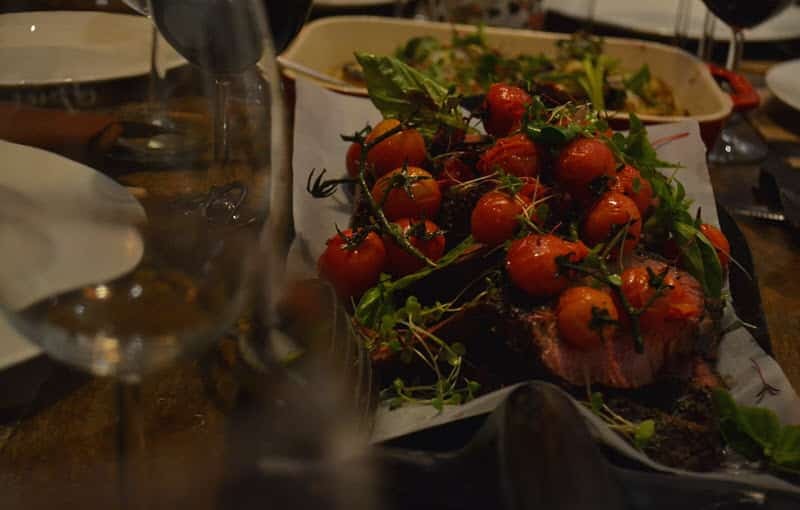 Main course was served on shovels, a delicious combination of fillet, spicy braised short rib and fondant. 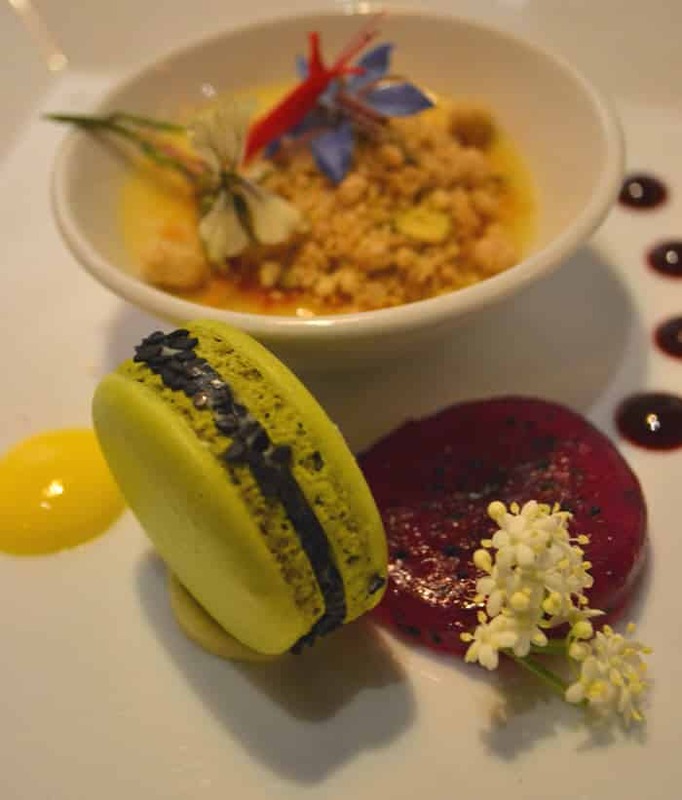 And dessert was delicious tonka bean creme brulee served with macarons and dragon fruit. After the Spier Secret dinner I couldn’t wait to get back and so we went with friends on the Saturday evening to enjoy a couple of bottles of wine (reliving our dinner experience with the expert aid of the No 2 Creative Block. Chatting to the ladies working there it seems that the pop-up has been a remarkable success and Jozi-dwellers have something to look forward to as Spier are currently looking for an opportunity to do something similar there. *All views and photos are my own, my partner and I were invited as guests of Spier for the Secret Dinner and returned on Saturday evening on our account because we just couldn’t stay away.